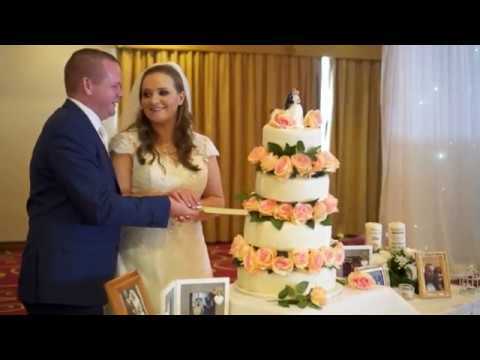 The Diamond Coast is one of the leading Wedding venues in the West of Ireland and we are renowned for its fine and generous cuisine, attention to detail, luxurious surroundings with beach views and our Four Star service and friendly staff. Our experienced award winning wedding team work with you to ensure that your wedding day, a day when every detail matters, comes together in a calm and stress free way. 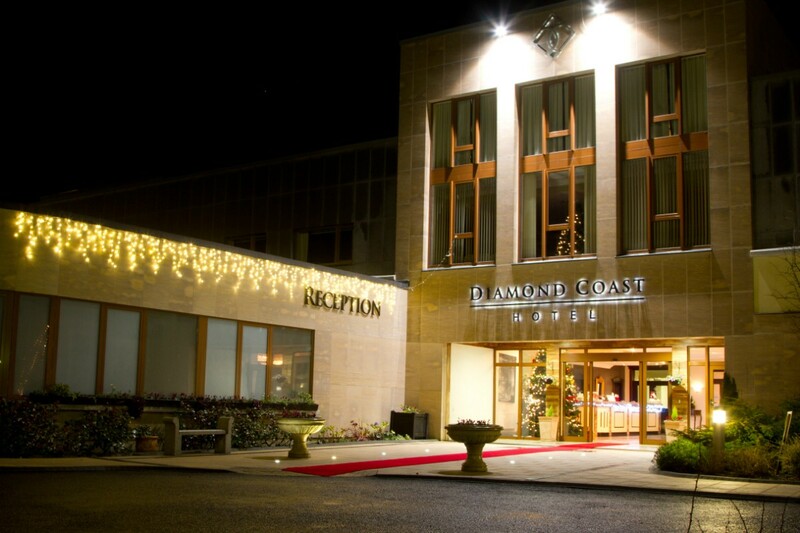 The Diamond Coast Hotel Enniscrone is situated close to Killala Bay making it and is easy accessible to the beach for those unique and amazing beach photos. 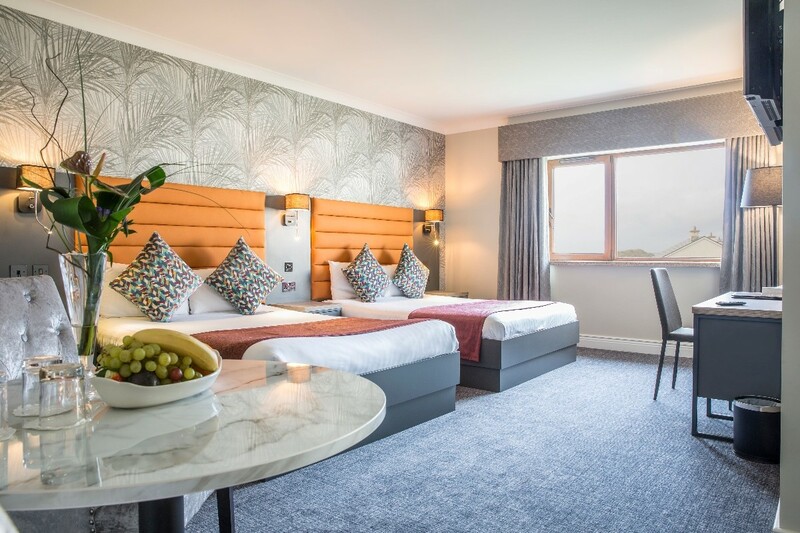 Situated on the Sligo/Mayo border the Diamond Coast Hotel Enniscrone is only 10 minutes from the bustling town of Ballina, Co. Mayo. 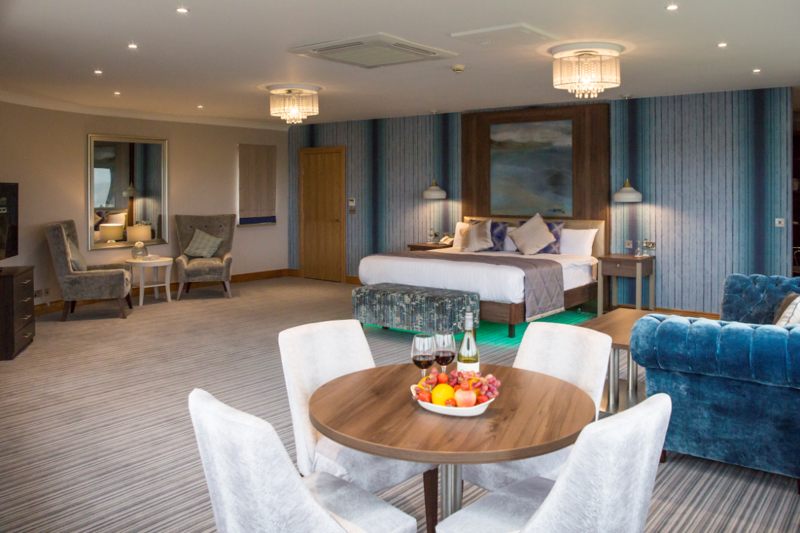 We have 92 well appointed, spacious modern guest rooms, the Luxurious Bartragh Suite can cater for 450 guests the Diamond Coast Hotel reputation for excellent service, exceptional food and magical setting. 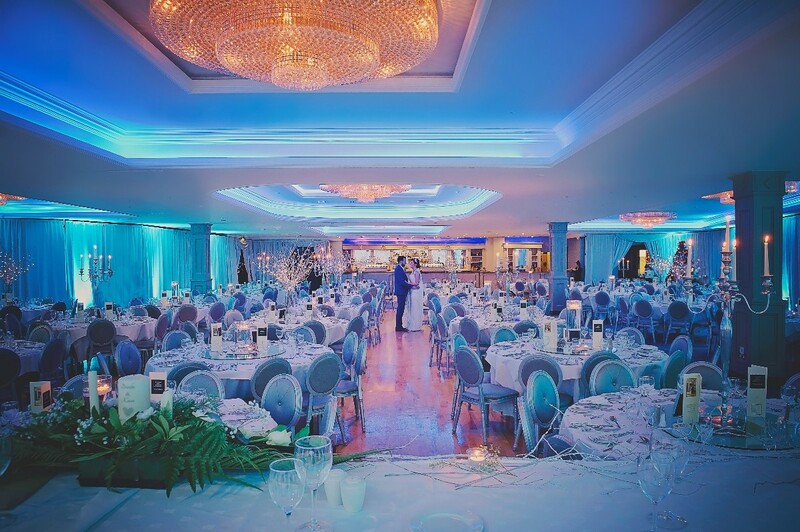 The Bartragh Suite includes a large dance floor, ornate ceiling and thirty thousand pieces of crystal adorn the room. With chair covers, fairy light backdrops and up lighting included in all our packages the to set the romantic tone to your special day, with added unique bonuses such as Customized welcome sign to great you on arrival with our infamous Diamond Coast Bicycle, Ice Sculpture display for your arrival reception and Personalised menus on the tables making the Diamond Coast Hotel Unique in every way. 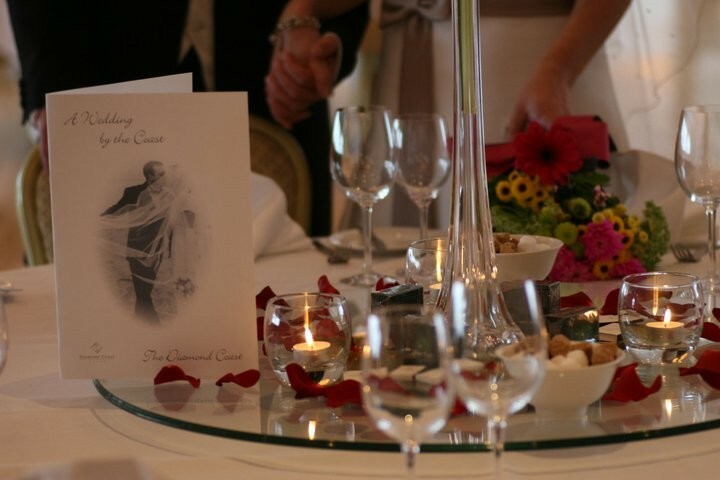 Quality service and attention to detail is our priority in helping you plan the most memorable day at one of the most romantic hotels in Sligo where we get as excited as you do! 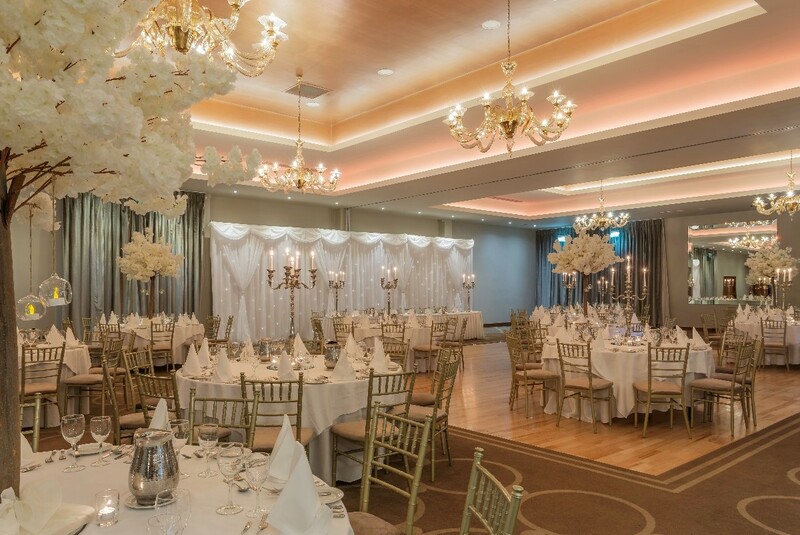 Diamond Coast Hotel is a beach side 4 star premium wedding venue in Sligo servicing weddings throughout the local area including Mayo, Sligo, Dionegal, Galway, Roscommon and Lonford and Leitrim . Diamond Coast Hotel is a professional premium 4 star venue that has been part of the wedding industry since 2006 specialising in weddings . What can you say about Mary that hasn’t already been said. She is the rock and glue that keeps the wedding preparations on track. I have asked for some unusual requests to be met and not once did she even hesitate. I have organised my wedding from abroad and bombarded her with emails and repetitive questions and again she always answered them. Mary makes you feel like you are her only client. She is down to earth and charismatic and absolute delight to work with it. Her years of experience give her the edge as she will point you in the right direction with anything wedding related. A true gem, and I can not wait for our big day now! Dear Lorna, Thank you so much for your lovely kind words, Mary truly is a lady that there is not enough positive things to say about. She is is definitely the glue in our wedding team. We are so looking forward to hosting your wedding and as you know you are in safe hands with Mary. Kind Regards Michael Yates General Manager. We got married in October and from the time we got engaged we just knew we were having the Reception in the Diamond Coast Hotel. We had been to a few weddings there previous and you couldn't fault anything, that was down to the Wedding Planner Mary Clarke and her team on the day. From the moment we booked our reception we knew we had the right decision and that our guests were going to experience great food and great service for the day. Everything ran like clock work and I couldn't thank Mary enough. Efficient, kind, polite and nothing is a problem. The value was incredible compared to other venues and the small touches and things the Diamond Coast include are incredible. Well done Mary and her team and continued success for the future keep up the good work. Dear Edith, Thank you so much for your lovely kind words, we love to receive such positive feedback, i have passed it on to all of our wedding team. The whole wedding team here at the Diamond Coast is led by Mary and follow in her own belief of high standards and excellent service. From all of the team we wish you both a long and happy life together. Kind Regards Michael Yates General Manager. We had our wedding in the Diamond Coast on the 20th October. Mary and her team did an excellent job. they went above and beyond to make sure everything was perfect for us. The food, service and the rooms were excellent. A great weekend was had by all. Dear Emer, Thank you for taking the time to write your review of your recent wedding, nothing gives us more pleasure than to read such positive feedback, we feel that Marys experience in weddings puts all of our couples at ease that they can sit back and relax and enjoy their special day. I wish you both many many years of happiness together and you are always welcome back to the Diamond Coast as our friends. Kind Regards Michael Yates General Manager. Diamond coast hotel is the perfect venue to get married in, we had such a great day ,Mary the wedding co-ordinator was so helpful & all the staff we so friendly, definitely would reccomend the diamond coast to any future couples ! Dear Caroline, we appreciate you taking the time to write your review, Mary is one in a million and we certainly agree with you that our staff are a big asset to the hotel. Thank you for your recommendation and all of the teams wishes you both a healthy and happy life together. Kind Regards Michael Yates General Manager. Brilliant hotel for a wedding reception. Mary Clarke couldn't do enough for us and nothing was impossible. Would definitely recommend this to other couples. We could not fault this hotel in any way at all, they were so so helpful and made all of our requests happen. Mary the wedding coordinator is just brilliant and worth her weight in gold. She was so helpful to us. We enjoyed our wedding so much on the day and couldnt be looked after better, all of our guests had an absolute ball and said the food was amazing! Dear Heather, Thank you so much for you kind review, we were delighted to read that you enjoyed your wedding day with us so much and we wish you a long and happy life together. Excellent value. Everything offered to us. All our guests were extremely well looked after. Provided us with a fantastic day. Every one of our guests said it was the best wedding they had ever been at. I’m sure a lot of people tell the bride and groom that theirs was the best, but I have a lot of opinionated friends and they really tell it as they see it. If it wasn’t up to par they would have let us know. Right from the start Mary and the staff made us feel special. The whole experience was excellent, from the meal sampling to allowing us to stay an extra night after the wedding, just the two of us, to really relax and enjoy the location. It was also all the little extras that were thrown in that made it all very special. I was more hesitant than my bride to take the recommendations from Mary when it came to choosing the flowers, photographer, videographer, band, wine selection, food selection pretty much everything apart from picking out the tuxedo. Everything was world class. No kidding the video is like something out of Hollywood. It is so worth recording the dancing, another one of Mary's suggestions, it wouldn’t look out of place in that movie “Love actually”. Some people say never invite kids to a wedding. We are both from big families and as we were making a weekend of it, the kids were invited. Karen and the staff did a wonderful job preparing an additional room for the kids, special food, drinks, sitters… everything you could imagine and want. The kids had a great time and the parents had an enjoyable night out, it was magic. Mary, Karen and the staff delivered on the night, thank you all from the Dolans. Mary went above and beyond for us. If She was out office there was always someone who was able to deal with any query we had. The hotel staff where always welcoming and pleasent. Couldn't recommend this hotel enough. We've been on both sides of the top table as guests at numerous weddings and also as the bride and groom. Each time the reviews from our guests and others have been 100%. We can't recommend Mary highly enough. She did so much for us in preparation for our wedding day. Mary was always available for advice and queries. She works efficiently and makes you feel secure and reassured. Everyone who worked the day of the wedding (photographer, photo booth, etc) said Mary was extremely easy to work with and very organised. We can't recommend Mary enough. I would highly recommend this hotel. It ticks all the boxes! Dear Sarah, it was our pleasure to host your special day, thank you for the kind recommendation it is always lovely to hear from our couples that they enjoyed their day with us. All of the wedding team wish you both a loving and healthy life together. Kind Regards Michael Yates General Manager. The hotel were a delight to deal with and in Mary Clarke they easily have one of the best, if not the very best, co-ordinators around. They looked after us brilliantly in the build up to the big day and ensured nothing would go wrong on the day itself. Mary and the team at the diamond coast were outstanding from start to finish. Planning our wedding from abroad was a worry for me but Mary took all the stress out of it. She was always at the end of the phone or available to meet if we needed to. As for the day itself, we couldn’t have asked for more. Everything was delivered to an exceptionally high standard at a fantastic price. I would highly recommend the diamond coast as a venue to anyone getting married. Dear Yvonne, Thank you for your amazing review, it was great delight that we read your feedback, as a 4 star wedding venue we pride ourselves on ensuring high service and standards and allowing our couples day be stress free. Our wedding team is led by Mary and there is no one better on delivering on the high standards that we set ourselves. I hope that your first few months as a married couple have been joyful and that you have a long and loving life together. Kind Regards Michael Yates General Manager. Mary the wedding co ordinate was amazing. She couldn't do enough for us. She was so involved warm and friendly to all our families. Dear Denise and Shane, Thank you for taking the time to write your review, we truly appreciate the kid feedback and for your lovely warm words about Mary. I wish you both a happy and healthy life together. Kind Regards Michael Yates General Manager. Excellent wedding coordinator, Mary, who couldn't do enough for us in the lead up to our wedding day. Hotel service was wonderful and efficient. We had just the right amount of attention paid to us as a couple for the reception and the next morning also. Food was very tasty, nicely presented and served promptly. Organisation of seating and layout of the room, including decor, was fabulous and one of best I've seen. Menu options were broad and dietary requirements were met without any hassle whatsoever. Guests very pleased with rooms and reception staff were super. Breakfast the next morning was relaxed and food was hot and cooked well. Great value for money, especially compared to many other 3/4 star hotels. We were made feel very special the whole day and couldn't have asked for more. We had our wedding in The Diamond Coast Hotel on Monday 26th October 2015. The staff were so attentive and went out of their way to ensure that we had a great wedding and that our guests enjoyed their time too. The food at the wedding meal and buffet was absolutely excellent. Portions were generous and well presented. Guests also commented on the lovely breakfast and bistro menu too. Guests were also delighted with their accommodation. The rooms were very clean, well equipped and so spacious. The hotel is very well appointed throughout and we especially liked the large ballroom with chandeliers for our dancing. 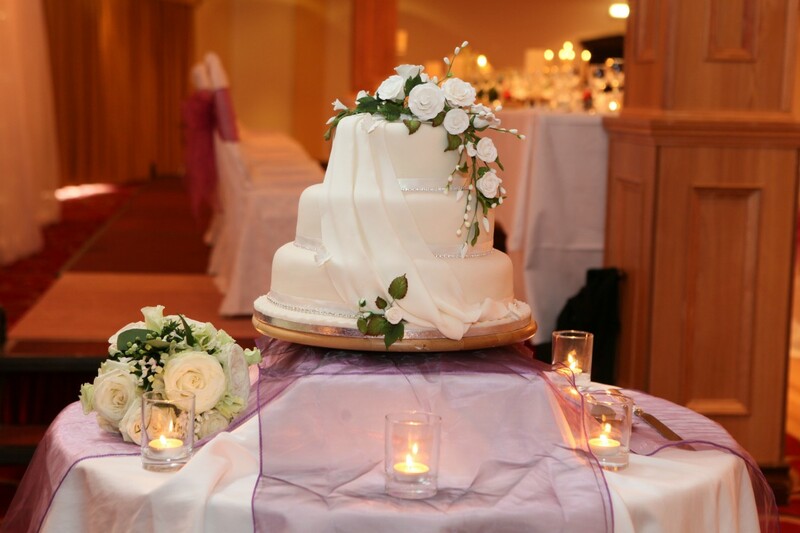 The hotel wedding coordinator, Mary Clarke, did the utmost to provide everything we wanted for our special day. Nothing was too much trouble. We are delighted that we chose The Diamond Coast as our wedding venue and we would highly recommend it to other couples. If you are looking for excellent service and good value, then this is the hotel for you. Diamond coast will always remain special to Noel & I as it provided a magical setting on our wedding day. 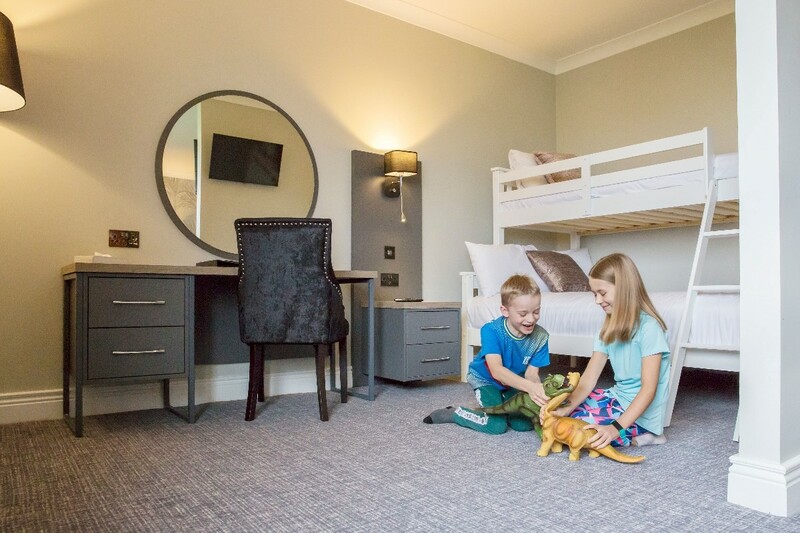 All staff were exceptionally friendly, professional and helpful and couldn’t do enough for us or our guests, All the guests were absolutely thrilled with the venue. Every single guest stated that the exquisite meal you served up was the best food they had ever tasted at a wedding. People were so impressed that the waiting staff came around with seconds on the night and not just of the beef as the norm but of the fish also. Talking with friends I realise how extremely lucky I was in that I never needed to chase ye up on anything, ye were always very responsive to all our queries. There are no words to describe the service I received at the Diamond Coast. From start to finish my wedding was perfect. The wedding team and staff at the diamond coast were helpful and very professional and made my day feel special and unique to me. There was no job to big and everything was planned and sorted to a tee. This was especially helpful as I was planning my day from England and Mary and her team made this effortless. Everything was seamless from the entrance to the meal. 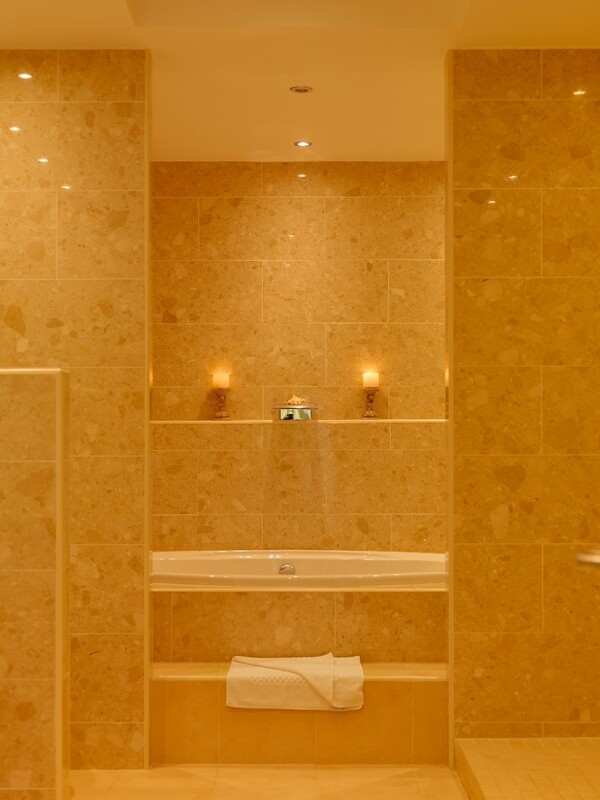 All my little details were placed and used perfectly, and the staff were very friendly and accommodating. My wedding guests from England and the USA thoroughly enjoyed their stay at the hotel and all would recommend returning if they were in Ireland again. I have to give a huge Thank You to Mary Clarke who was an outstanding wedding coordinator, who helped me through all the requirements we wanted and needed and nothing was impossible she is truly inspirational lady. I would defiantly recommend her and the wedding team at the diamond coast to anybody. The service was impeccable and everyone from Ireland England and the USA said it was one of the best wedding days they had been too and I must give some of that credit to the diamond coast and the team as without them my day would not be anyway near what it was. From the start of the planning right up to the check out after the wedding, each and every member of the Diamond Coast staff went above and beyond for myself and Claire. The hotel was the prefect setting for our big day and everyone pulled out all the stops to make us feel completely at ease on a stressful occasion. Mary Clarke is an absolute gem in organising and planning things for us and we can not give this wonderful lady enough credit for her hard work and energy in helping us. 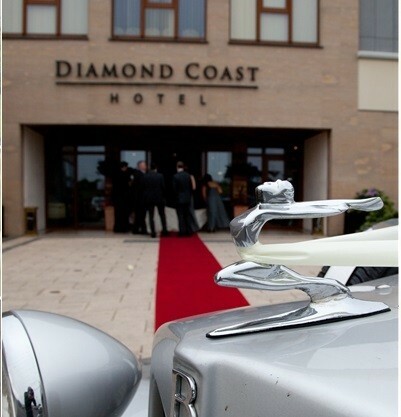 If you are considering your wedding in Sligo / Mayo, choose the Diamond Coast Hotel and you will not be dissapointed! We couldn't have been happier with our wedding in the Diamond Coast, we couldn't fault a thing. Nothing was too much trouble, any request we made was sorted. The dining room was decorated beautifully, as was the drinks reception area and any bits we left in were done just as we wanted. The food was absolutely delicious and the service was excellent. All the staff were so helpful. Mary especially was brilliant and a pleasure to deal with. She was so helpful in the run up to the wedding and even though I know they do lots of weddings, she made us feel like our wedding was as important to her as it was to us. We'd definitely recommend the Diamond Coast! We got married in the DC in June 2014 and from the start of the process to the end they were so helpful to work with. Their attitude was it was our day and they would do everything hey could to make it as special for us. It's hard to know where to begin in how incredible they were. 1) Mary Clarke - Wedding Coordinator. From the minute we met with Mary I knew we were in good hands, everything we suggested/requested was met with a friendly no problem of course and Mary made suggestions that we hadn't even thought of. We told her our budget and she made sure everything was worked out to suit us. A dream to work with. 2) The chef - Food was amazing but what was even more amazing is the care they showed for us in our choosing our menu. After we had our tasting I changed a dish and they insisted we come for a second complimentary tasting so we could try it. My family has it of fussy vegetarians and when we requested specific dishes the chef prepared them a few different ways and served them at the second tasting for us to try. The food was amazing. Served quick, hot and plentiful. 3) Accommodation girls - especially Lisa. We got an amazing wedding room rate for all guests (not just restricted numbers like other venues do) and it makes a difference as more people can afford to stay over. The girls were great sorting out family rooms for us and making sure everyone was accommodated. When guests had to cancel last minute they were great. Rooms are very big and fab. 4) Service esp Nomar- was exceptional. The food service was very quick and no table was left waiting long. Nomar made sure that the top table were kept hydrated which was greatly appreciated. The girls in the kids club took great care of the smallies and they were greatly entertained in fact my DD didn't appear out until 9pm such is the fun they were having. 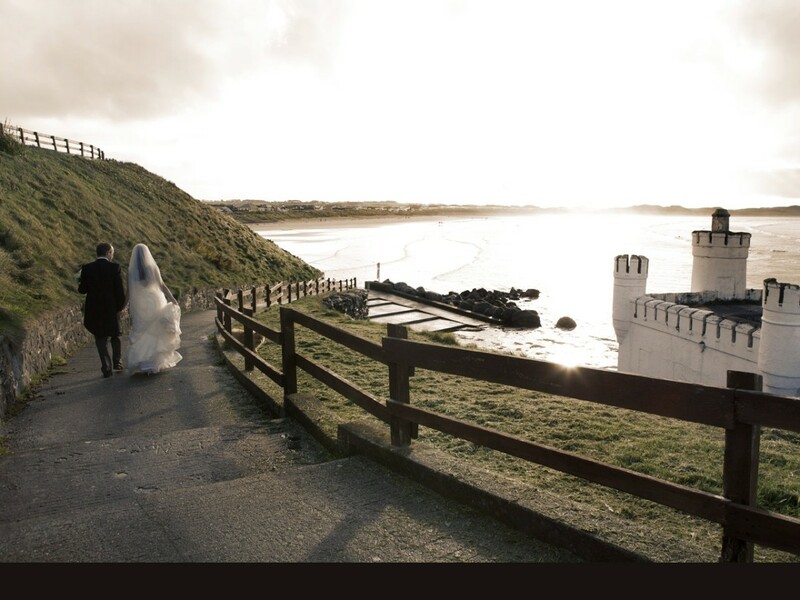 Enniscrone is a truly beautiful place and location for wedding pictures but when your venue looks after you as good as the diamond coast does it really makes the day special. Thank you all so much for making our day amazing. My husband and I married in St Patricks church Gurteen on 29/11/2013 and then took the scenic route by Lough Talt to The Diamond Coast Hotel Enniscrone. From the first day we visited the Diamond Coast we knew we wanted to hold our reception there. One major factor is that every effort is made to make your wedding unique, from your table setting to your entrance, nothing is too much to ask. Any special requests by guests were met over and beyond expectation, and every time we go back we are made to feel as welcome as the first time we arrived!! Mary's attention to detail and effort to make you feel like the only bride and groom in the world is phenomenal. She makes you feel so special, the little extras that make the day so special seem so effortless to Mary. The hotel staff are amazing and undoubtedly so professional and courteous. The setting is amazing, we have some fantastic shots from down on the pier and also from within the hotel. We highly recommend the Diamond Coast to other couples! We had our wedding in Nov 2012 & would highly recommend it to prospective brides & grooms. The customer service we received from the first day of enquiry to our wedding day was second to none. 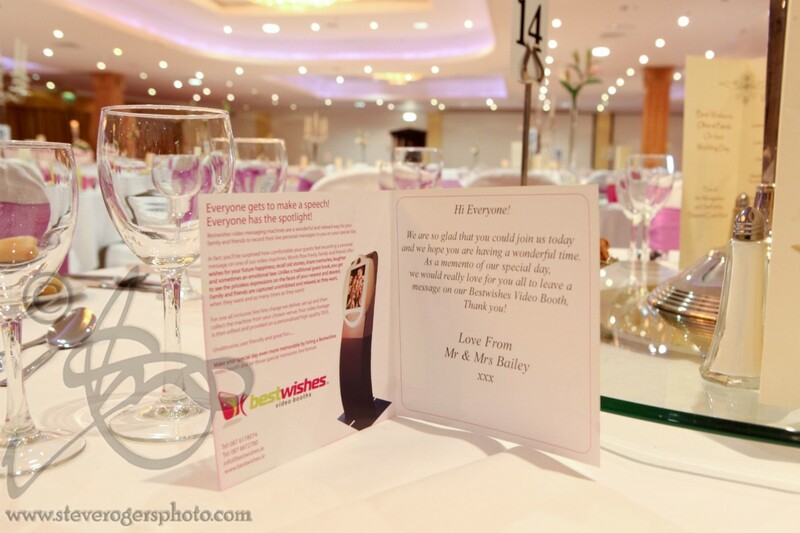 Mary Clarke; our wedding co-ordinator was highly attentive & accommodated us in every way to ensure our day was perfect. Small last minute details we wanted were handled with a no hassle attitude. Regarding the venue the room looked stunning. Food & service were both fantastic and is still being talked about by our guests. 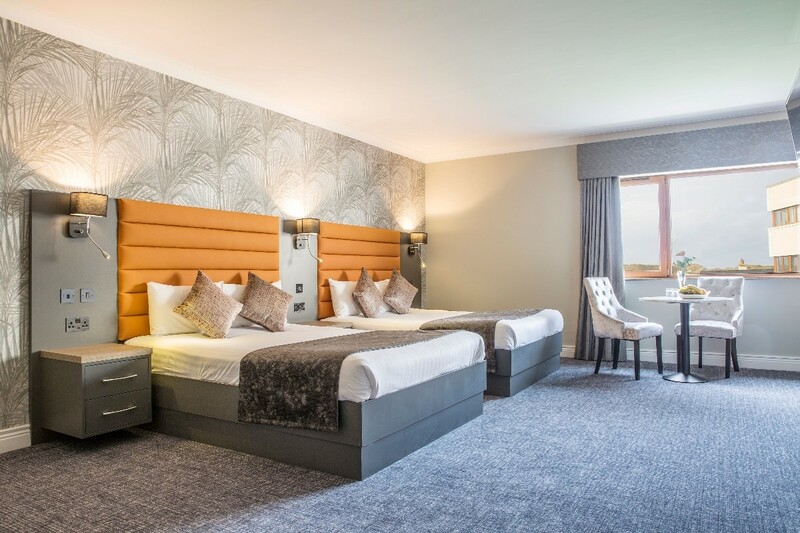 Guests from outside the locality were extremely impressed by the standard of the hotel situated in such a picturesque part of Sligo & will definitely be back. Words cannot express how thankful Sean and I are for all you did for us on the run up to our wedding. You made the day magical, it was flawless. It was everything I expected and more! You saw to every little detail, and you left nothing to chance. Mary was always available on the other end of the phone on the run up to my wedding which was a complete blessing especially when organising a wedding from England! We got married in the Diamond Coast on June 29th 2012 and truly had the best day of our lives. This could only have happened with the help of Mary as our wedding Co-ordinator. Mary made organising our wedding so easy, nothing was a problem! Her ease and personal warmth with us made us feel so comfortable in expressing what we wanted for our big day. Mary made all our guests feel very special and went above and beyond what we would of expected! Everything Mary did for us exceeded our expectations!! Mary was professional, helpful and friendly throughout the run up to our wedding and on our wedding day. From the first day we met Mary she made us feel at ease. The planning of our wedding went so smoothly with Mary's help. We couldn’t have done it without her! From start to finish our experience with Mary was nothing less than AMAZING!We were made feel like ours was the only wedding she was planning all year,so special!Most importantly that special feeling didn't stop as soon as our wedding did,we returned to a wedding months later tao be remembered by name and treated like royalty by Mary,outstanding!THANK YOU! Mary, thank you so much for all your assistance provided prior to and on the day of our wedding. Your knowledge and professionalism was very evident from the first day we met with you and this was carried through to our wedding day. Knowing that you were there to oversee everything put us at ease on the day and allowed us to enjoy our special time with family and friends. We cannot speak enough or thank you enough for making our day so special! Keep up the good work ! Mary Clarke made us feel so welcome and at home in the Diamond Coast Hotel with her very pleasant manner. She always made time to talk to us, took notes and made sure we got exactly what we asked for. We felt like we were on top of her list all the time. Her attention to detail and contribution of positive ideas was key to us having the best wedding we could ever wish for. Mary is a star! 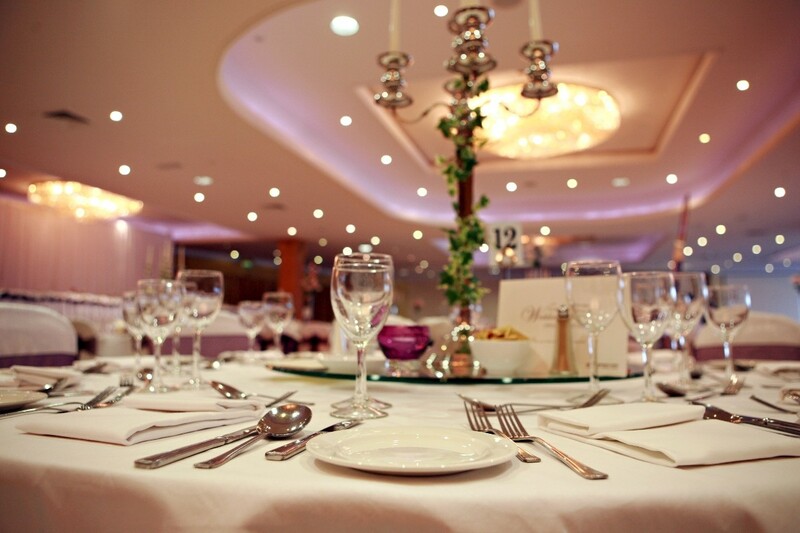 Ask the Experts - Should You Let Your Venue Know About Dietary Requirements in Advance?